Freedom of speech and expression, especially when it comes to social media usage, was recklessly exploited so much so that what rather constitute hate speech was mistaken for it. 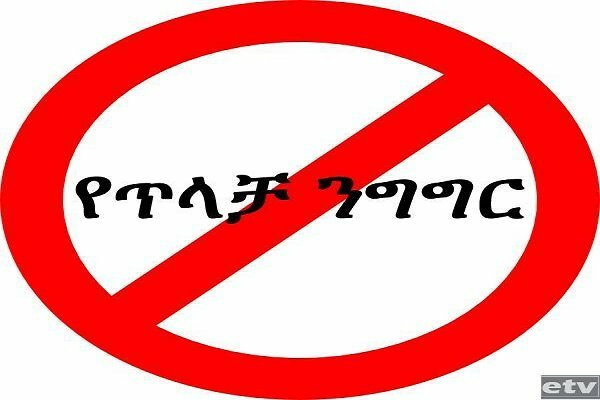 The issue has become a matter of concern for government and society like, and Ethiopian Federal Prosecutor has prepared a draft bill which it says will help fight dissemination of false information and hate speech. Draft legislation was discussed on Friday in a forum organized by law faculty of Addis Ababa University. The forum was attended by opposition party representatives and academicians, among others. If ratified, citizens involved in the writing and/or deliberate dissemination of hate speech could be put behind bars up to three years and pay up to 10,000 Ethiopian birr fine. An individual or individuals who happen to cause fear or threat as a result of hate speech could face up to 10 years of jail terms. The intention, according to a report by state broadcaster, EBC, is to ensure that freedom of expression is not pursued at the expense of the dignity, security, and safety of other citizens. 3 Responses to "Ethiopia poised to come up with legislation to fight hate speech"
The inherent intention is noble. Extreme caution and insightfulness is an ABSOLUTE necessity to preserve the intended fragile noble concept of FREEDOM of EXPRESSION, which can easily be cracked and eventually broken into pieces — unless Ethiopia is wishing to regress back to the old Royal Dictatorship and the vagabond hoodlum marauder governance. Gondares are skilled with entrapment. The hate criminal is sending his Gondares to entice us so he can entrap us then condemn us, with his new laws anti “HATE SPEECH” law Punishable upto 5 years prison term and upto 5 thousand birrs fine. That is why I am planning to not hold talks with the GONDARES. I know myself I let them know a piece of my mind about them every chance I got, maybe I will start to use sign language because I cannot resist and not confront them , they know I speak my mind everytime I see those enticing Gondares that is why they designed this “HATE SPEECH” law because they are skilled in putting words in people’s mouths. It is a positive step forward. However, unless the mother of all evils, ethnic politics (racism), is erased from Ethiopian political landscape, Ethiopia’s suffering will continue! How many people should die before Ethiopian elits realize that there is no a Victor in racism.